In January 2007, Sara completed a 200-hour Registered Yoga Teacher course in Cleveland, OH with renowned teacher Marni Task. It changed her life forever! Her style of instruction is vinyasa based, meaning the postures flow from one to the next linked by conscious breath. Sara teaches uplifting and spiritually based classes using Jivamukti and Anusara yoga principles. Her classes also focus on various yogic techniques including postures, chanting, music, breath work, meditation, alignment principles, and the teachings of yogic texts. Each class is tailored to the group's or individual's needs for a unique customized experience. Produces fundraising yoga workshops for grass-roots relief efforts in San Diego and Tijuana for refugees and asylum seekers. Sara is currently based in San Diego, CA, leading yoga and wellbeing retreats and workshops, in the greater San Diego area as well as Mexico and abroad. Stay tuned for: FIJI 2019. 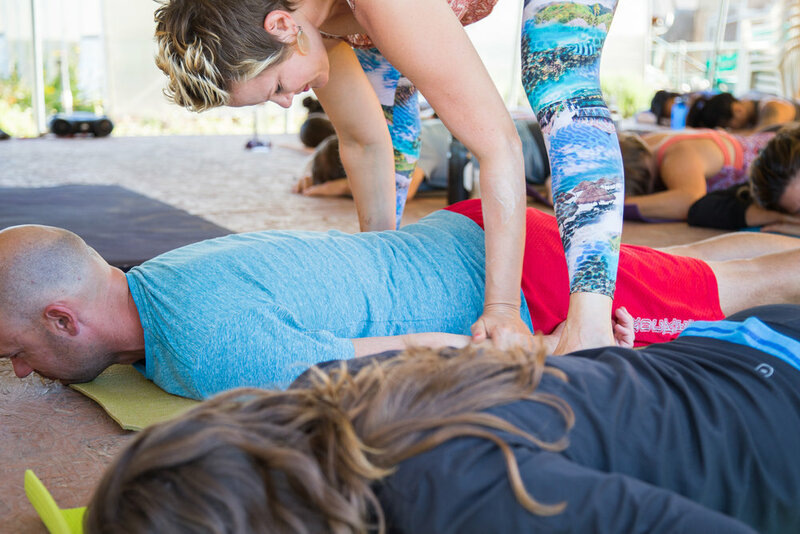 Interested in having Sara teach at your next event or festival? Do you have a small or large group looking for specialized instruction? Sara can also teach at your corporate office as a part of your employee wellness program. Email her at sara.szunyogh@gmail.com with inquiries.